Sizing: These Freddy jeans have a very small fit and a size medium is a UK size 8-10. 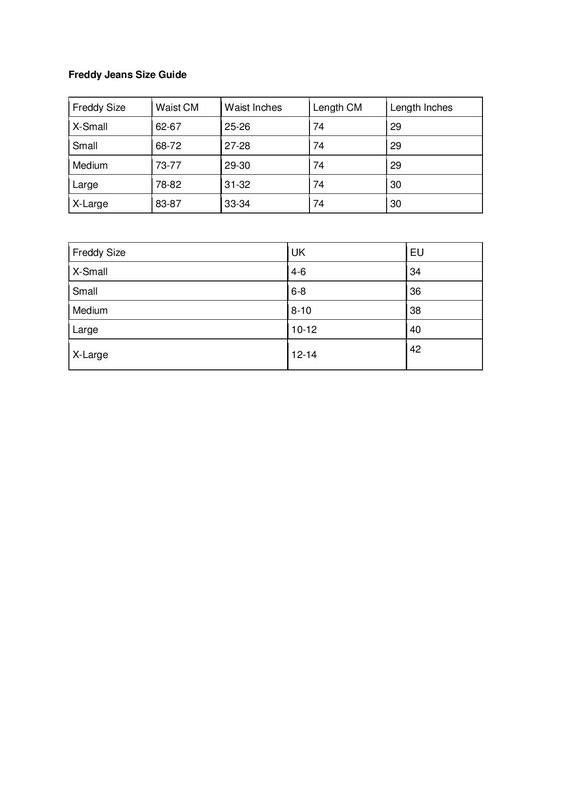 Please see the size guide for more information before purchasing. Styling: Cool and contemporary from Freddy, these skinny jeans are crafted with real denim with rips on the front and a darker jersey denim effect on the back. In a stylish 7/8 leg the 8 WR.UP® skinny jeans are designed with shaping effect denim which is designed to improve your figure with a clever combination of tailoring, stitching and silicone inserts on the waist for a stay put fit. Unlike ordinary denims, they will not lose their shape although it is important to buy the correct size to avoid stretching and to undo zips and buttons when taking them on and off. They are finished with a zip and double fastening and feature branding on the belt loop and faux rear pocket.